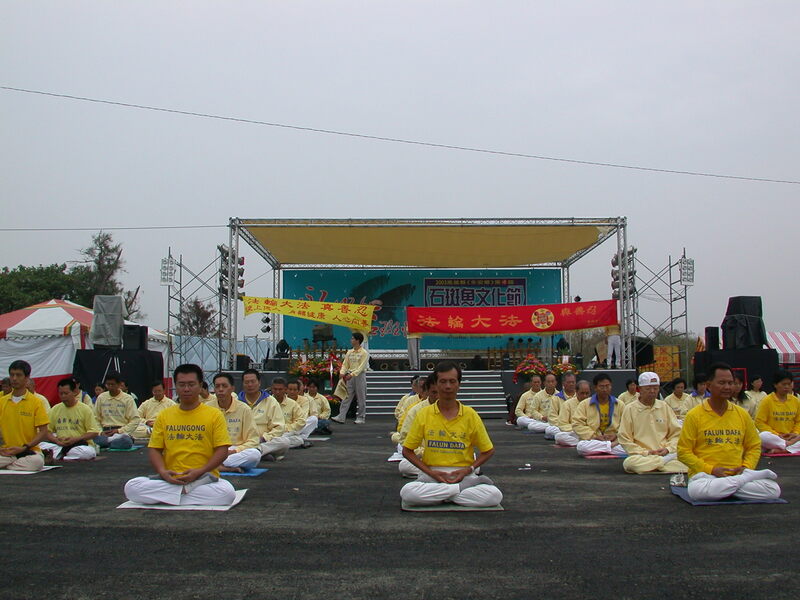 (Clearwisdom.net) November 22 is the annual Grouper Cultural Festival in Yong-an Township, Kaohsiung County. The celebration began in Yantian Village with a display of the history of Salt Field and results of mangrove growth, visiting a power plant, snack stalls and many art performances. Crowds of people were attracted to the event. 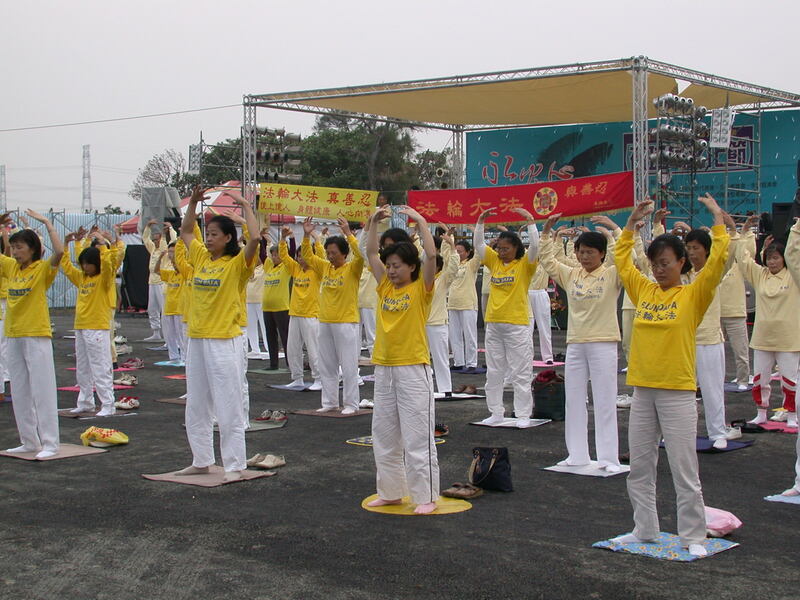 Kaohsiung Dafa practitioners applied for a permit to collect signatures and demonstrate the Falun Dafa exercises. Many people signed their names to support our efforts to bring Jiang to justice. 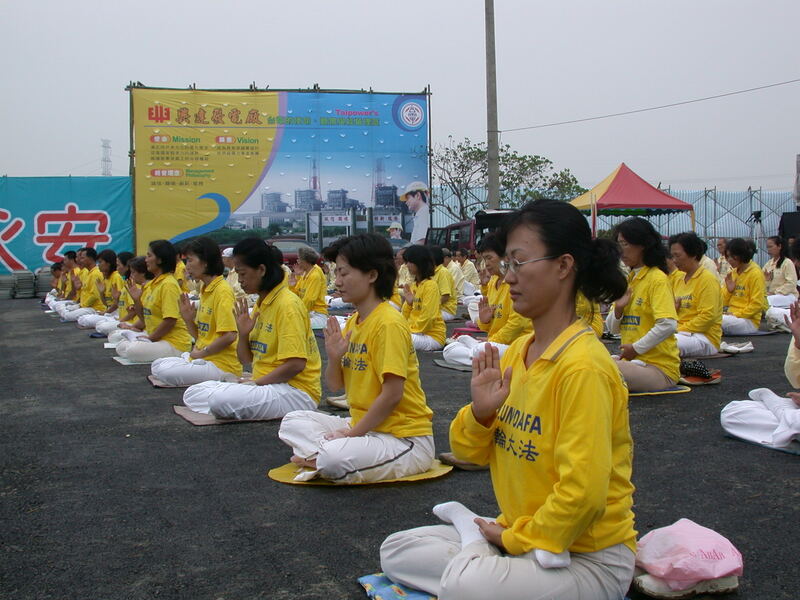 Some people followed practitioners to learn the exercises. Ms. Qian from the township office watched the exercises demonstration and showed great interest. The practitioners gave her a flyer and talked to her about how to begin practicing. They suggested reading Zhuan Falun and helped her to contact the local coordinator in the Yong-an Township. The practitioners clarified the truth to the Taiwanese people, who were able to see clearly the Jiang regime's evil nature. One person said, "They are afraid that a big group of people could form a rebellion, so they even suppress the good people out of paranoia. It's so unreasonable." A practitioner replied, "We are practitioners, and we only want to have a healthy body, and to follow the principle of 'Truthfulness-Compassion-Tolerance.' We are not involved in politics." It had been raining early today. About 150 practitioners participated in the grand celebration, where we sent forth righteous thoughts and demonstrated the exercises. The activity went smoothly and successfully.